"How was your day at camp?" Camp is just around the corner and before we know it, you’ll children will be calling home to tell you about their stay... As parents and carers you will want to know everything – from who they are sharing their dormitory with, to what they had for lunch, to what’s the name of their Dorm Leader... That's completely understandable. For lots of families, it will be the first time your child has been away and possible in another country. We are all probably a bit guilty of giving one word responses to questions. 1. What is the best thing that has happened during your time at camp so far? 3. 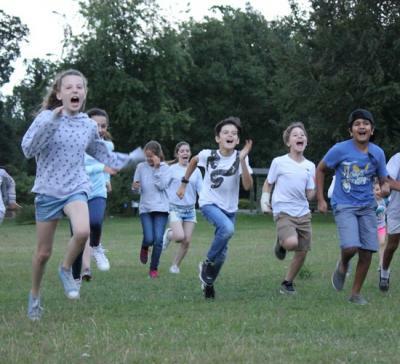 Where is your favourite place at camp? Why? 5. If I spoke to your Dorm Leader, what would he/she tell me about you? 6. How did you help someone/they help you today? 7. When was your happiest moment today/this week? 8. What is your biggest achievement at camp so far? 9.	Who is the funniest person you have come across on camp? 10. Tell me about one of your friends from another country. What have you learnt about their country/culture? 11. Is there somebody you would like to hang out with but haven’t had the opportunity to speak to them yet? 12. Have you tried a new activity yet which you would like to continue doing once you are home? 13. What have you learnt about yourself so far? 14. 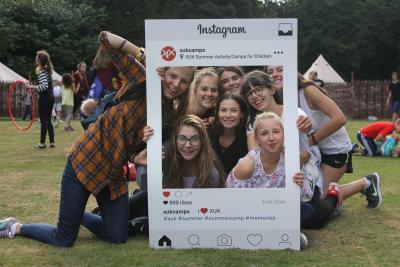 What is the most interesting fact you learnt on your whole camp trip this week? 15.	Who is your Dorm Leader this week? What do you like about him/her? 1. What were your top 3 activities? 2. If you were one of the chefs, which meals would you change? 3. Tell me about a new activity you tried and loved... Would you like to take it up as a new hobby? 4. Which activities would you prefer not to do next summer? 5. Do you have any ideas for new activities at the camp? 6. Which friend do you miss the most? What qualities do they have that you like? 7. Is there anything you packed which you did not need in the end? 8. Do you think camp has changed you in anyway? 9. Was there something you really wished you had their with you? Feel free to feedback their answers to us – your feedback is so valuable and helps us to make our camps even better in the future!